The Antonov An-72 (NATO name Coaler) was designed in the mid-1970’s as a replacement for the An-26 (NATO name Curl), a turboprop powered light tactical transport aircraft that served in great numbers in almost every Soviet bloc country. The An-72 is an unusual design with its two 14,3000lb ZMKB Progress D-36 turbofans mounted high on the wing, enabling the engine exhaust to be directed over the wing to improve STOL performance. Capable of carrying a payload of 10 tons, or 68 passengers, the An-72 can also carry a 23mm gun pod, a UB-23M rocket launcher or four 100kg bombs internally. In military service since the mid-1980’s, the An-72 has proved to be an effective and reliable light tactical transport aircraft. When the old Soviet Union was attempting to develop a ‘blue water’ navy in the 1980’s it was soon realised that large aircraft carriers operating fixed-wing aircraft were essential for a any credible ‘power projection’. This in turn created some difficulties as, taking the US Navy as the benchmark, fixed wing fighters need a both tanker and AEW support capable of operating from a carrier and the Soviet Union had neither. To address this shortfall an An-72 was modified and fitted with a radome. However, unless the aircraft is designed from the outset to carry a large radome, its very difficult to modify an existing aircraft as the radome cannot simply be attached above the fuselage. 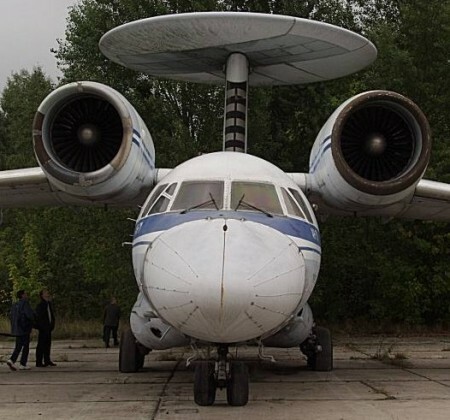 To resolve this problem the designers came up with a novel and unique solution; the An-72 was completely re-designed and swept forward, rather than backward, and the radome housing the Kvant early warning radar was attached on top of the tailfin. The wingspan of the aircraft was also increased by about six meters. The finished aircraft was designated the An-71 (NATO name Madcap) and three aircraft were built before the project was cancelled in favour of the Yak-44 twin turboprop, which was later cancelled itself in 1995. Eventually, following the collapse of the Soviet Union, the whole aircraft carrier programme was called into question and when one carrier did finally enter service it did so without a fixed-wing AEW aircraft. The first An-72 prototype flew on 12 Jun 85, only two were built and currently only one example of this unique aircraft is known to have survived and it is at the Aviant aircraft plant alongside Svyatoshino airfield near Kiev. Another unusual variant of the An-72 which has recently been displayed at the Aviant aircraft plant is the An-72R. The An-72R was also designed to act as a carrier-born AEW aircraft, but with a phased-array radar mounted along both sides of its fuselage. A total of three aircraft were built, but when the requirement was cancelled the project was abandoned and this aircraft is believe to be only one of the three aircraft to survive. The HS 748 was originally conceived by Avro as an attempt to overcome the anticipated decline in military orders by re-entering the civil aircraft sector. Designed in the late 1950’s the aircraft first flew on 24 Jun 1960. Various improvements were incorporated over the years to increase the payload, improve the aerodynamics and update the engines. Powered by 2 Rolls-Royce Dart turboprops, the 748 had a ceiling of 25,000ft and a range of just over 700 miles when fully loaded with 58 passengers and a flight deck crew of 2. Eventually 382 examples were built, 52 of this total were delivered to military customers for use as a short/medium range transport. Customers included Australia, Belgium, Brazil and Ecuador. 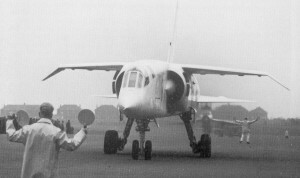 In RAF service the aircraft was known as the Andover C1 and was equipped with rear-fuselage loading doors and an unusual undercarriage which could ‘kneel’ to allow easier access to the rear doors. 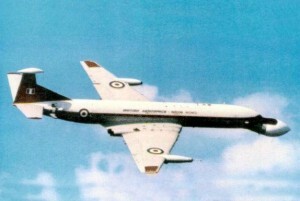 However, many believe the RAF were ‘encouraged’ to buy the Andover, to help boost overseas sales. However, the Andover didn’t easily fit into any particular role, having insufficient range/payload to compete with the C-130 and lacking the real STOL performance of the DHC-4A Caribou. Unsurprisingly, the RAF got rid of the Andover as soon as decently possible, selling a number of the aircraft to New Zealand, where they soldiered on for a number of years. As well as being used as tactical transport aircraft, the Royal Australian Navy also operates 2 aircraft as EW trainers to simulate EW threats to RAN ships. India also licensed built 20 aircraft and India’s Defence Research and Development Organisation (DRDO) began the Indian Airborne Surveillance Platform (ASP) utilizing the 748 airframe to provide an AEW capability in an experimental capacity. Using a large rotodome mounted above the fuselage, the aircraft was planned to also house a hybrid navigation system together with secure communication and data links. Design studies began in Jul 1985 as Project Guardian, which was later re-named Airawat. By the late 1980’s one aircraft had been fitted with a 24ft by 5ft rotodome mounted on two pylons and was flown by Nov 1990. The radar antenna inside the rotodome is a low side lobe slotted wave guide planar array and weighs 160kgs. The rotodome is driven by the aircraft hydraulics power supply. 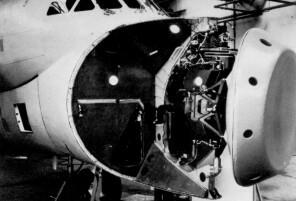 Three aircraft were eventually fitted with a rotodome. However, the 748 was only ever intended as a testbed and the long-term plan was to install the system on a number of the 72 Ilyushin Il-76 licensed built for the Indian Air Force by Hindustan Industries. On 12 Jan 1999 the prototype ASP crashed, killing all 8 people on board, including 4 scientists and is believed to have been caused by fire or engine failure. Since the crash, many critics have suggested that the engines and metal fuselage of the 748 were unsuited to safely operating the additional weight of the rotodome, pylons and associated equipment and a number of eyewitnesses reported that the rotodome collapsed onto the plane. Even to an untrained eye, the rotodome assembly simply looks too big for the airframe and I imagine trying to control a fully loaded aircraft, that suffered an engine failure shortly after take-off, would have been extremely demanding. The crash put the ASP programme back a number of years and it remains very doubtful that this over-ambitious indigenous AEW programme will ever enter service. It was reported in August 2003 that American State Department objections to Israel selling the Phalcon AEW radar system to India had been removed. It is understood that India will pay around $1 billion for 3 Phalcon systems to be integrated onto three Ilyushin Il-76 aircraft operated by the Indian Air Force. This purchase has almost certainly spelt the end for the ASP and it is only a matter of time before this ill-conceived project is finally abandoned for good. The unmitigated disaster of the Nimrod AEW 3 programme probably stands comparison with any of the other 'great' shambolic defence procurement fiascos, that have caused such embarrassment to the MOD and various governments over the years. It was certainly one of the most expensive and the final bill has probably never been accurately calculated, but even the most conservative estimate of £1 billion takes little account of the damage caused to the reputations of the companies involved. This overview will briefly describe the lengthy gestation of the project, some of the main problems that were encountered and why the whole sorry shambles was finally brought to an end. The Falklands War of 1982 came virtually out of the blue and the eventual success of the Task Force was, as usual, based on the ability of British servicemen and women to 'make do' with many items of inferior, outdated equipment, such as one of the flagships, HMS Hermes, even down to basic items such as boots that leaked and fell apart. The defence review of 1965 had started the process of ending the era of the RN's large aircraft carriers, each capable of operating a fixed-wing AEW aircraft, such as the Fairey Gannet AEW3. Consequently, by 1982 the RN lacked any intrinsic AEW capability to send with the Falklands Task Force - in theory it should have been provided by the RAF with the Nimrod AEW 3, but this programme was in an almost total shambles. The net result was the loss of a number of ships to air attack and the death of many brave men whose lives might well have been saved if an AEW aircraft had been available. Quite how it would have been possible to sustain a land-based AEW aircraft in orbit over the Task Force during daylight hours, when it took virtually the whole of the AAR resources of the RAF to get one Vulcan there and back is another matter, either way it certainly proves the need for the RN to have a carrier based AEW capability, if they are expected to conduct blue-water operations. When Grumman and General Electric began development of the E-2 Hawkeye in the early 1960's, the capability of this carrier based AEW radar, operating at UHF wavelengths with an Airborne Moving Target Indicator (ATMI), was set to revolutionise AEW development. British industry and the MOD watched the development in the USA with some trepidation, realising that unless they set about defining a replacement for the antiquated Gannet, they would be out of the AEW market forever. Various design ideas were considered, including a Buccaneer with two sideways facing antennas in the bomb-bay and an HS-125 with a mushroom radome mounted above the fuselage - however, this is where the problems began. The E-2 Hawkeye is a very clever design, which compresses 2 crew, 3 systems operators and a considerable amount of electronic equipment into an airframe small enough to operate from a carrier whilst carrying a rotordome - an achievement no other country has been able to match. Size became a crucial factor in the British design proposals when it was decided that a rotordome mounted radar which met the design specification, could not be carried on an HS-125 sized aircraft and attention switched to a new design with a Fore and Aft Scanner System (FASS). By 1965 British industry was keen to develop a Frequency-Modulated Intermittent Continuous-Wave (FMICW) radar using elliptical or circular inverted-cassegrain antennas. The properties of these types of radar do not allow them to operate effectively near propellers, so the proposed AEW aircraft had to be jet powered. Again size became a factor and it was soon apparent that the large antennas necessary to meet the range criteria, together the associated equipment and crew, could only be carried by a fairly large aircraft - certainly one too big to fit on a carrier, which was fortuitous as the Labour government had by then decided to get rid of them. 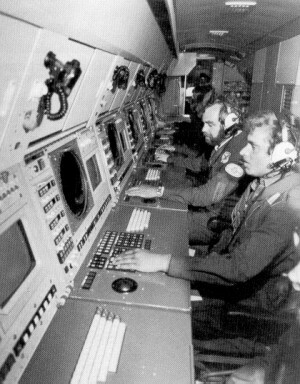 Various options were considered for a FASS installation including a jet-powered version of the HS 748 Andover and the BAC 111, before engineers finally settled on an adaptation of the proposed HS.801 anti-submarine version of the Comet - the Nimrod. Eventually, UK scientists deciding to ditch the FMICW radar in favour of the pulse-Doppler radar and funding for the system was finally approved in 1972. Various options for the Nimrod airframe were considered; the first option involved mounting the E-2C AN/APS-125 radar and associated avionics above and inside the airframe. The second option was to use the AN/APS-125 radar with British avionics. 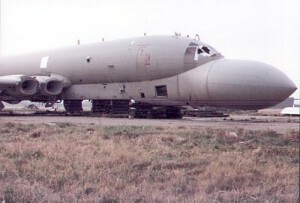 The third option was to mount the AN/APA-171 radome and antenna on the Nimrod, with Britain supplying the radar transmitter, receiver and avionics. The fourth option was an all British radar and avionics system, with some American components, and a FASS with pulse-Dopper processing operating in the S-band. Although this option provided the greatest input from British industry, it also carried the greatest technical risk and the alarm bells should already have been ringing. But, as in so many UK defence fiasco's over the years, political decisions, namely keeping BAe & GEC workers employed and retaining AEW radar technical expertise in the UK, overcame the many doubters and outweighed common sense. By the end of 1974, instead of purchasing an off-the-shelf system with a proven track record, the Labour government predictably decided on the fourth option, the Nimrod AEW 3, accepting whatever extra cost and technical risk that involved. At the time the Labour government also considered that joining a possible NATO purchase of the Boeing E-3A was just too politically complicated, expensive and subject to unknown delay - which is rather ironic considering how things eventually turned out. At this point it was widely reported that the RAF was in favour of a dedicated UK purchase of the E-3A, rather than the Nimrod, but the cost, together with the potential loss of jobs in some marginal Labour seats, was always going to mitigate against this option. 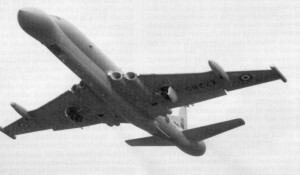 A modified Comet 4 fitted with a forward scanner was used for a series of trials to prove the basic concept of the system. 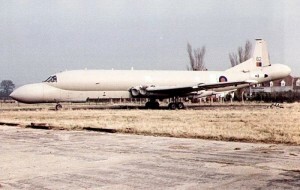 Then on 31 Mar 77, the government gave the go ahead for Hawker Siddeley (soon to be merged with the British Aircraft Corporation to form British Aerospace - BAe) who would supply the airframe and Marconi-Elliot, (soon to be renamed Marconi Avionics) who would supply the mission avionics, to build and deliver 11 Nimrod AEW 3 aircraft. The airframes comprised 8 that were built, but never delivered to the RAF and 3 that became available when 203 Sqn was disbanded after the RAF withdrew from Malta. 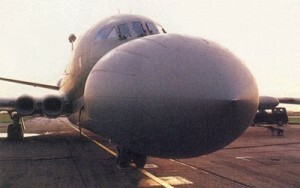 The 1976 operating specification of the planned Nimrod AEW 3, ASR 400, was to say the least very demanding. It called for exceptional detection capabilities of both sea vessels and aircraft over land and sea, far in excess of the E-2C and with the ability to automatically initiate and track up to 400 targets. Six operators consoles (four radar, one communications and one for ESM) were planned and, although this is double the number of the E-2C, it is much less than 9 originally planned for the E-3A, which also had considerable empty space for additional consoles. 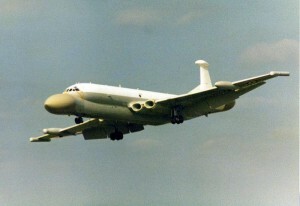 The Nimrod AEW 3 was planned to carry a comprehensive communications fit, which would also allow combined operations with NATO E-3A's. However, space was always at a premium - the Nimrod was planned to be about half the weight of an E-3A, but three times that of the E-2C and this sheer lack of space eventually became one of the major problems. In 1977 ASR 400 was re-drafted to ASR 400 Revision 1, yet it was never clearly established to which standard the production aircraft were to be produced to - a classic example of shifting goalposts and lack of communication between the contractor and the customer. Despite the chaotic project management of the earlier TSR-2, which contributed considerably to its eventual cancellation, similar problems occurred in the project management of the Nimrod AEW 3. The normal procedure for a project of this size was for the RAF Operational Requirements (OR) branch to lead the project through the feasibility stage, with the operational aspects stated by the Assistant Chief of the Air Staff (ACAS) and financial input from the Air Plans branch. The Ministry of Defence (Procurement Executive) Controller of Aircraft (MOD(PE) CA) had responsibility for project definition and development, usually under as assistant director. Reporting to the MOD(PE) CA was the Director of Military Aircraft Projects, who had a Nimrod Director and an assistant Nimrod director, and it was this individual was actually responsible for the AEW 3. Generally, the individual in this appointment was a wg cdr, considerably down the 'food chain' in the MOD and with little real clout. However, responsibility for the electronic system in the AEW 3 lay elsewhere, namely with the Director of Air Weapons and Electronic Systems, whose Assistant Director Electronics, Radar (Airborne) was actually responsible for this vital equipment. 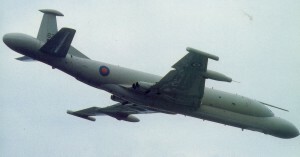 Ultimate financial authority rested with the Minister of State for Defence, and although representatives of the various parties with a 'finger in the AEW 3 pie' met as necessary, only at the quarterly review boards Nimrod AEW 3 nose radar was an overall view of the entire project undertaken. Essentially, the prime contractors were left to sort out the physical integration of the various systems, with minimal input from the MOD or RAF. As usual, service personnel remained in their appointments for around 2 years and were then posted, just as they had developed a sound grasp of the technicalities of the task. MOD civil servants involved in the project usually had considerable technical expertise in specific areas, but lacked much understanding of the operational aspects and some displayed poor management skills. This muddled project management system was in stark contrast to that employed by the USAF, who usually appointed a high ranking, ambitious officer, as the Project Manager and this individual then had ultimate responsibility for over-seeing every aspect of a project and remained in post until entry into service. The first structurally complete aircraft was rolled-out on 30 Mar 80 and flew on 16 Jul - this was followed in Jan 81 by the second production aircraft, which was planned to develop the and the radar. A Joint Trials Unit (JTU) was established at RAF Waddington to help develop the Mission System Avionics (MSA) and in no time at all serious problems with the MSA were identified. The heart of the MSA was the GEC 4080M computer that received data from the radar scanners, the Loral ARI-18240/1 ESM system, the Cossor Jubilee Guardsman IFF equipment and the two Ferranti FIN 1012 inertial navigation systems. The computer processed this mass of data and then displayed it on the multi function display and control consoles (MDCC) where the operators communicated to the various command organisations and operational units through the Automatic Management of Radio and Intercom Systems (AMRICS). Independently, these systems worked correctly, but after they were integrated in 1980 serious problems emerged. The fundamental problem was that the computer simply was not powerful enough. The GEC 4080M computer had a storage capacity of 1 megabyte (Yes ONE! ), which could be augmented via a data-bus with an additional 1.4 megabytes, giving a grand total of just 2.4 megabytes total storage capacity, small even by the standards of the time and particularly so given the task it had to perform. The computer quickly showed it was too slow for the task and soon became overloaded, at which point track continuity suffered, this then led to track duplication, which slowly increased and further overloaded the system. Another major problem was the sheer amount of heat generated by all the electronic systems when operating the radar and other systems at full power. This was a real problem, because the fuel system was used as a 'heat-sink' and to be able to dissipate the heat generated when the MSA and radar operated at full power, the fuel tanks needed to be at least half full. 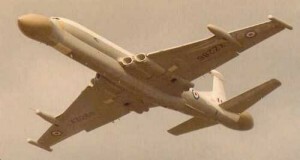 Essentially, like so many other MOD procurement disasters, the Nimrod AEW 3 suffered from requirements that changed, inadequate project management and, in an attempt to save money, the 'bodged' adaptation of an elderly airframe, rather than shelling out on a new airframe designed exactly for the purpose. 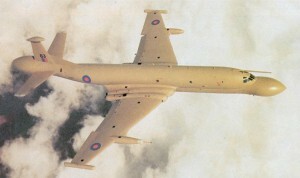 Although the Nimrod AEW project struggled on, the MSA could rarely be made to work consistently. Under test by the MOD(PE) in 1984 the MSA, whilst falling short of the ASR 400 requirements, worked well and showed promise, but it was very unreliable and its performance changed from sortie to sortie. During the first 8 sorties only 3 hours of full system operation was achieved. Detection range was 30% below the specified distance, tracking continuity was erratic with numerous false plots, all-round surveillance was poor and did not provide the anticipated twin hemispheric coverage and last, but not least, maritime detection resolution was poor. All the time the costs mounted, with little sign that this grotesque white elephant would ever work as designed. Finally, common sense prevailed and in 1986 the axe finally fell, bringing the curtain down on the entire farce which ended up costing the taxpayer somewhere in the region of £1 billion. In 1988 a Boeing proposal for the supply of 7 E-3D Sentry's was accepted and the aircraft eventually entered service in 1991. To fill in the 'AEW gap' after the Gannet retired and before the Nimrod AEW 3 entered service, in 1971, the RAF was forced to convert 12 obsolete Shackleton MR2 aircraft to carry the obsolescent TPS-20 radar removed from the Gannets. Entering service with 8 Sqn at RAF Lossiemouth in 1972, the Shackleton was cold, incredibly noisy and thoroughly uncomfortable for the unfortunate crew - high-tone deafness after a couple of tours was routine. It was often said that one of the nicest sounds in the world was a Shackleton getting airborne, because that meant you weren't on board. Unpressurised, the Shackleton was limited to around 10,000ft and usually operated much lower. The TPS-20 radar had a range of only 150km and had no height finding capability, so in reality there was little point in flying high anyway. However, because of the Nimrod AEW 3 fiasco, five of these obsolete, antiquated, uncomfortable aircraft had to soldier on for 20 years until the E-3D entered service in 1991 - such is the price of political interference, poor planning and inept project management. 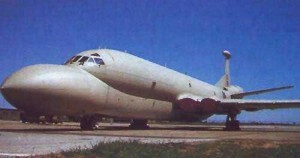 Despite all the problems with the Nimrod AEW 3, GEC Marconi continued development of the radar system, now named ARGUS, and the Chinese expressed an interest in mounting it on an Il-76 Candid. However, it appears the Chinese saw sense, as they eventually tried to purchase the Phalcon phased array AEW system from Israel, until this was blocked by the USA. The Chinese are now believed to be developing an AEW system using an electronically scanned phased array radar mounted above the fuselage of the Y-8X Cub. The system the Chinese are developing appears very similar to the Swedish SAAB 340 Argus, which given the Chinese track record of stealing Western technology, may be more than just a coincidence. 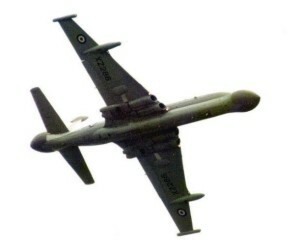 So what can be learnt from the Nimrod AEW fiasco? Well, firstly an AEW airframe needs to be large enough to carry the equipment and crew, ideally with something in reserve - attempting to squeeze everything into what was essentially an airframe designed in the 1940's, was bound to lead to problems. Secondly, effective long range AEW radar technology is highly complex, difficult to develop and needs to be updated on a regular basis to remain effective. Unless you have bottomless pockets, it's safer and less expensive in the long run to buy proven American equipment off the shelf. Amazingly, the collective memory of the Nimrod AEW farce seems to have been completely ignored when it was decided to replace the Nimrod MR2 with the Nimrod MRA4. Astonishingly many of the same mistakes of attempting to once again adapt an airframe designed in the 1940's, have been repeated for the second time - but more on the MRA4 farce at a later date and I only hope the final bill this time around is less than £1 billion squandered on the Nimrod AEW 3. The sad, sorry saga of the destruction of what could have become one of the great aircraft of the 1970s and 1980s, has been the subject of numerous magazine articles, books and even a TV documentary. What follows is an overview of the aircraft, its planned reconnaissance capability and why it was eventually cancelled. For a decade after the Canberra entered service with the RAF in May 1951, the RAF possessed an aircraft that was more than capable of delivering weapons onto almost any target in Western Europe. However, within a short space of time, the prospects of the aircraft being able to survive an encounter with the large numbers of MiG-15s that were equipping Warsaw Pact air forces, looked decidedly bleak. As a consequence, in 1952 the Ministry of Supply issued a specification for design studies for a new bomber. The specification was very demanding and called for an aircraft capable of delivering a 6-ton nuclear weapon over a combat radius of 1500 miles at low level and at high subsonic speed. Several firms submitted proposal, but the requirement exceeded current technologies and the specification was quietly returned to the shelve. The Blackburn Buccaneer was briefly considered by the RAF to replace the Canberra, but although the airframe was suitable, as subsequent events were to prove, the aircraft's avionics were well short of the demanding specification the RAF had set. In 1956 the RAF had dusted off the 1952 specification and made it even more demanding by calling for an over the target speed of 1.3M together with the need for a inertial navigation / attack system to ensure pinpoint weapons delivery. Eight firms were eventually invited to submit tenders by Jan 1958. As a result of the submission by Bristol Aircraft and Vickers-Armstrong, which included an integrated terrain following navigation/attack system, the specification was refined in the spring of 1958 to ensure the aircraft would be a complete weapons system. In Jan 1959 it was announced that Vickers-Armstrong and English Electric had been awarded the contract to develop a new tactical strike and reconnaissance aircraft, know as TRS-2. These firms and others eventually merged to become BAC. The development of TSR-2 was beset with committees that bedevilled the project until the end. The design of the airframe progressed without too many problems, but the advanced avionics was another matter entirely. Elliot Automation were developing the automatic flight system, Ferranti were developing the terrain following radar and navigation/attack system, EMI were developing the sideways looking radar and Marconi the general aircraft avionics. By early 1960 it became apparent that the cost of developing these advanced systems by going to be much higher than previously estimated. The Bristol Siddeley Olympus 22R engine was also proving more difficult to develop than the designers imagined and this too added to the spiralling costs. By autumn 1962 BAC provided some estimated performance figures and even today they make impressive reading. They included a cruising speed of 0.9M - 1.1M at sea level and 2.05M at altitude. Combat radius with external fuel would be 1500nms or 1000nms with a 2000lb internal bomb load on internal fuel only. Initial rate of climb would be around 50,000 feet per minute with a service ceiling of 60,000ft. In addition, the aircraft was designed to operate from semi-prepared or low-grade surfaces only 3000ft in length, enabling it to be deployed at a wide variety of airfields. The planned reconnaissance capability of the TSR-2 was extensive. In a purely reconnaissance role the aircraft would have carried a complete reconnaissance pack in a pannier in the weapons bay. The reconnaissance pack included the EMI Q-Band SLAR, a moving target indicator and active optical linescan radar, which could also transmit the picture in near real-time to a ground station, together with three FX126 cameras. One forward and two sideways looking F95 cameras were permanently fitted in the aircraft's nose. The SLAR could provide continuous coverage up to 10mn either side of track and the results were stored in a special recorder using photographic film. A contract for 9 development aircraft was placed in Oct 1960 and this was followed by a preliminary order for 11 pre-production aircraft in Jun 1962. It was hoped to fly the first prototype in the autumn of 1963, with delivery of the first pre-production aircraft in 1965. In 1960 the R&D costs had been estimated at £90M, but by the beginning of 1963 this had more than doubled and the schedule had slipped 2-3 years. Development problems with the avionics and the Olympus 22R engine continued and by now the Labour opposition were making it clear they would cancel the project if they were elected. However, much skullduggery took place behind the scenes, lead in particular by the Chief of the Defence Staff (CDS) Lord Louis Mountbatten, an over-promoted charlatan, who was, in many people's opinion, was possibly the worst CDS ever to hold that office. Mountbatten, who allowed his own biased opinions to over-rule any reasoned argument, was determined to protect the Royal Navy and their fixed-wing carrier capability at any cost and set out to scupper the TSR-2 for the RAF - thereby clearing the way for the RAF having to order the Buccaneer - a vastly inferior aircraft in every sense. Mountbatten's favourite habit was to slap down five photographs of the Buccaneer next to one photograph of a TSR-2 and state 'Five of one or one of the other at the same cost'. The vast difference in capability between the two aircraft didn't seem to feature in this argument. 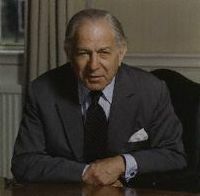 Mountbatten was ably assisted in the task of decrying the TSR-2 by non other than Sir Solly Zukermann, the Ministry's Chief Scientific Advisor, a man with a background in Zooology who had little understanding of aviation. Zukerman rubbished the TSR-2 at every opportunity by saying it was a waste of money and we would be better off simply buying aircraft from the USA. Zuckermann once remarked that 'There was more technology in the little finger of one Professor from the Massachusetts Institute of Technology than in the whole of British industry' - a remark that illustrates the anti-British industry attitude he espoused from within the heart of the UK government. Together Mountbatten and Zukerman did immense damage to the TSR-2 project. When the Australian Government expressed an interest in the TSR-2 and visited the UK to review the aircraft, Mountbatten was quick to inform them that, in his opinion, the mounting costs and complexity would prevent the aircraft ever entering service, effectively ending their interest in a potential order. The Australian's eventually purchased 24 F-111A's, which had even greater development problems than the TSR-2 and eventually ended up costing far more than the TSR-2 would have done. The prototype TSR-2, XR219 flew from Boscombe Down on 27 Sep 64 and the test programme soon made progress, despite some initial problems. However, a Labour Government had taken office shortly after the TSR-2's first flight and the writing was on the wall. Acting on false advice, probably supplied by Mountbatten, the Prime Minister Harold Wilson believed that some £300M could be saved by cancelling TSR-2 and buying the F-111A. The end came on 6 Apr 65 when the Chancellor of the Exchequer, James Callaghan, announced during his budget speech that the project would be cancelled immediately. Not content with that, no trace of TSR-2 was supposed to survive - orders were given for the two completed prototypes to be destroyed, together with all the remaining aircraft on the assembly line, even down to the jigs and tools - ensuring that the project could never be resurrected. The decision to cancel TSR-2 was probably one of the most ill advised ever made by a British Government and nearly crippled the British aircraft industry. The F-111A only survived because the US government had the good sense to stick with the project, however, the delays and ever mounting costs convinced the Labour government to cancel the RAF order. The RAF eventually was forced to accept the Buccaneer and although this aircraft provided sterling service for many years, it never possessed the capability of the TSR-2. Only with the introduction of the Tornado in 1982 was the RAF finally equipped with an aircraft with the ability of the TSR-2. Thankfully the ordered destruction of all TSR-2 prototypes didn't occur. The only example that flew, XR219 along with two other prototypes, XR221 and XR223 were taken to Shoeburyness Range in Essex and gradually destroyed as targets for testing various weapons. XR220 was hidden away in a hanger on the far side of RAF Henlow airfield for many years, with all its internal equipment ripped out and the wiring cut, rather than disconnected, to prevent to aircraft ever being resurrected, and was eventually placed on display at RAF Cosford's Aerospace Museum. XR222 was initially sent to the College of Aeronautics at Cranfield and is now on display at the Imperial war Museum at Duxford. That, in essence, is the story of the TSR-2 fiasco - a lamentable tale from start to finish. However, as the years have progressed and more details have emerged about the project and, in order to be entirely objective, it's only right to consider the many factors that also influenced the decision to cancel the project. The Operational Requirement was, in retrospect, highly confused. To try and design an aircraft with such conflicting requirements as a Mach 2.25 dash capability at high level & a transonic capability at low level was bound to cause severe problems, particularly when a variable geometry wing was not employed. Why was 2.25M so important? A reduced speed of 1.8M would have been almost as effective and allowed a much less complex design. The Hi-Low-Hi sortie range of 1000nms also appears unnecessarily demanding and ensured a large aircraft with considerable internal fuel. Both industry and the RAF must share the blame - the RAF for issuing a 'gold-plated' requirement that wasn't clearly thought through and industry for continually dangling the carrot of being able to meet that requirement and more, without being totally honest about the costs and delays that would invariably result. Another confusing requirement was the need for a 600yd take-off fully loaded from semi-prepared surfaces of LCN20. Who in their right mind ever really though this through? The idea of dispersal away from the MOB was already in use with the V-Force, had been thoroughly tested a number of times and the necessary infrastructure was already in place at a variety of smaller RAF airfields. A similar dispersal plan for TSR-2 using the same airfields and infrastructure would have removed the 600yd/LCN20 requirement and simplified the design and performance criteria enormously. In retrospect this requirement should have been challenged at a very early stage of the design process. If the idea of dispersing the TSR-2 to very small airfields with semi-prepared or even grass surfaces was genuine, then the supporting logistical infrastructure would have been absolutely huge. BAC had drawn up designs for two specialised support vehicles, but these would have only been the very tip of a vast iceberg. I think a direct comparison could been drawn between the RAFG Harrier Force field operations in Germany between the 1970's and 1990s. Groups of Harrier GR3/GR5/GR7 aircraft were operated from either 'tin' strips laid in fields, roads or small airfields for a few weeks at a time. However, the logistical back-up to support a couple of dozen aircraft was vast, with hundreds of vehicles required to sustain operations. In comparison to the TSR-2, the Harrier was a relatively simple aircraft, quite how vast and expensive the deployment convoy necessary to support TSR-2 dispersed operations would have been is anyone's guess. The project management of the TSR-2 was poor. In part this was caused by the forced amalgamation of a number of diverse companies, in different locations and with very different cultures. The project was beset by endless committees, in which dozens of people tried to influence the design, regardless of the overall affect their actions often had on the final product. The Ministry of Defence, the Aviation Ministry and the Ministry of Trade all had their fingers in the TSR-2 pie, rarely seemed in agreement and gave every impression of working for competing organisations. The TSR-2 and F-111A were in direct competition and General Dynamics, along with the US Government, were keen to kill off the competition. In an attempt to eliminate the TSR-2, General Dynamics and the US Government continually over-egged the performance and under stated costs of the F-111A, when discussing the aircraft to potential customers. This 'miss-information' was quickly picked up by Mountbatten and Zukermann, who were more than happy to quote these figures to any influential politician they encountered, further damaging the TSR-2 cause. The most obvious customer for the TSR-2 was Australia. But Australia was keen to establish links with the USA, to replace the dwindling link it had with the UK, through the ineffectual Commonwealth. The USA built on this desire by dangling the carrot of a cheaper F-111A and on 24 Oct 63 the Australians eventually took the bait and ordered 24 F-111A's for delivery in 1967. The aircraft eventually entered service in 1973, six years late at 3 times the original cost - enough said. Lack of consistent support at the highest levels of the RAF. There were also severe doubts about the viability of the TSR-2 at the top levels of the RAF. If certain influential people in the RAF were wavering in their support, it's hardly surprising that other people were quick to seize on their remarks and use them to denigrate the aircraft - who follows the sound of an uncertain call to arms? In the end the politicians had their way and a potentially superb aircraft was destroyed. However, many, many people, both service and civilian, must share the blame for a whole variety of reasons, many outlined above. I have no doubt that had everyone involved had the guts to stick with it and pay the bills, the TSR-2 would eventually have performed to the design criteria. Whether the country at that time could really afford to pay the bills is another matter. Had it entered service it might even have been used in the Falklands conflict, where it could, in theory, have operated from the original runway at Port Stanley - who knows how the presence of a few TSR-2's might have influenced subsequent events. In the 21st century UAV development is advancing in leaps and bounds as rapid developments in technology allows even more capability to be packed onto a small air vehicle. Most UAVs are designed to conduct general ISR missions, rather than being tailored for a particular single mission, allowing them to be employed in a wide variety of roles, but this wasn’t always the case. Back in the 1980s, before most members of the public were even aware of UAV operations, the US Air Force often issued a requirement for a UAV tailored for a specific mission – a good example is the Teledyne Ryan AQM-91A Compass Arrow designed to photograph the Chinese nuclear test site at Lop Nor. The downside of this policy is generally the small number of UAVs required, which pushes up the cost and if the mission if abandoned, for whatever reason, the requirement for the UAV disappears as well. This is exactly what happened to another ‘black’ programme from the period – the Boeing Condor. From what can be uncovered about this programme, it appears that back in the early 1980s the USA needed a highly specialised UAV for a classified mission, possibly ELINT. Exactly what this mission was has still not been made public, but I imagine it probably involved North Korea, but that’s just my guess and I made be very wide of the mark. 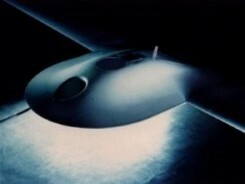 Sometime in the mid 1980s the Defence Advanced Research Projects Agency (DARPA), probably acting on behalf of the USAF, NRO or CIA, issued a requirement for a High Altitude Long Endurance (HALE) UAV and, presumably after the usual companies such as Lockheed and Northrop had also submitted their proposals, Boeing won the $300 million contract with it’s first large scale composite design which it named the Condor. 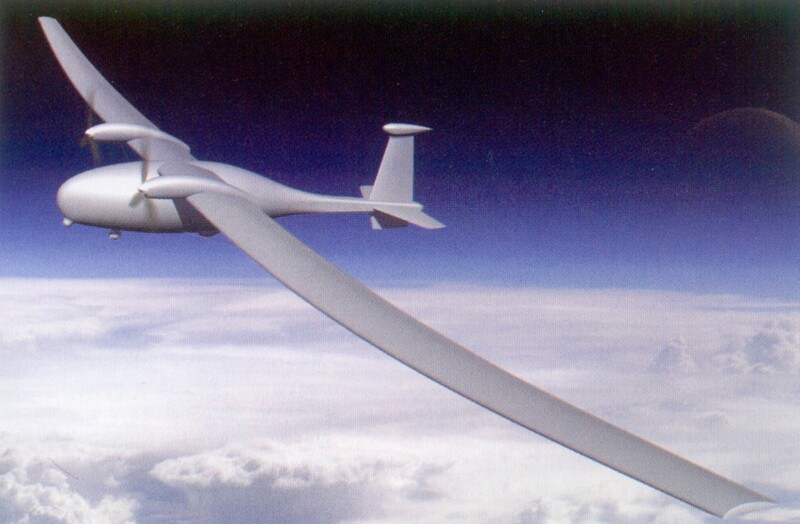 The UAV was well named because with its sailplane-type laminar-flow airfoil wing it had an aerodynamic efficiency close to that of a glider, with a cruise lift/drag ratio of 40:1. The Condor had a wing span of over 200 feet, a larger wing span than either the Boeing 747 or even the massive Boeing B-52 bomber – the wingtips flexed up to 41ft on some flights. The Condor had a narrow boxy fuselage, just 52 inches high by 34 inches wide (1.32 m by 0.86m) designed to allow external sensors and antennas to easily be fitted. The Condor could easily be dismantled to allow it to be transported in a large plane, such as a Lockheed C-5A Galaxy. Boeing Condor Continental TSOL-300-2 engine Power was provided by two six-cylinder opposed, twin supercharged, liquid cooled, Continental TSOL-300-2 engines driving three-bladed composite propellers 16ft (4.9m) in diameter through a two-speed gearbox and, although the vehicle demonstrated an un-refuelled flight duration of 80 hours, the design goal was actually 150 hoursThe two 175 horsepower engines were boosted by two stages of exhaust driven superchargers and these, together with the huge wings and gearbox shift at 43,000ft, gave the Condor the ability to cruise above 65,000ft - on one of its test flights the Condor set an altitude record for piston-powered aircraft of 66,980ft. The actual payload the Condor was designed to carry has never been revealed, however, on test flights it carried around 1,800lbs (815k) of test instruments, so it could have carried a wide variety of sensor simultaneously. Around 60% of the weight of the Condor was fuel, all of which was carried in the wings and the Condor’s gross take-off weight was 20,000lbs. Because of the weight of the fuel carried in the wings, the Condor was limited to a maximum speed of 140kts. Weight was kept to an absolute minimum and a ‘dolly’ and two outrigger wing mounted wheels were used at take-off and detached as the Condor got airborne. For landing a tandem nose wheel and a fuselage mounted skid were used. The Condor had a very low radar and heat signature footprint, making it electronically almost invisible and very difficult to track. From the outset Condor was designed to operate completely autonomously and used duplicate redundant flight control computers operating over 60,000 lines of FORTRAN code, however, the Condor also carried a SATCOM communication link on the rear fuselage that allowed the mission profile to be amended in flight. During the eight-flight test programme Condor flew over 300 hours, including a last flight of 58.11 hours and was considered a success, but then the mission it had been designed for was abandoned, probably for political reasons, and the Condor was cancelled. The Condor was mothballed in 1990 after an expenditure of around $400 million and then later donated to the Hiller Museum in San Carlos, California where it remains on display to this day. However, that is not the end of the story. Although the Northrop-Grumman Global Hawk has been in service for some time, the requirement for a slower HALE still appears to be doing the rounds and a number of companies are working on their designs. Using much of the technology and lessons learnt from the Condor programme, Boeing and a team of partners are currently working on a large, hydrogen powered HALE UAV. The new UAV is believed to be similar in size to the old Condor design, but would have 10 days endurance and much work is going into developing lightweight insulated liquid hydrogen tanks. 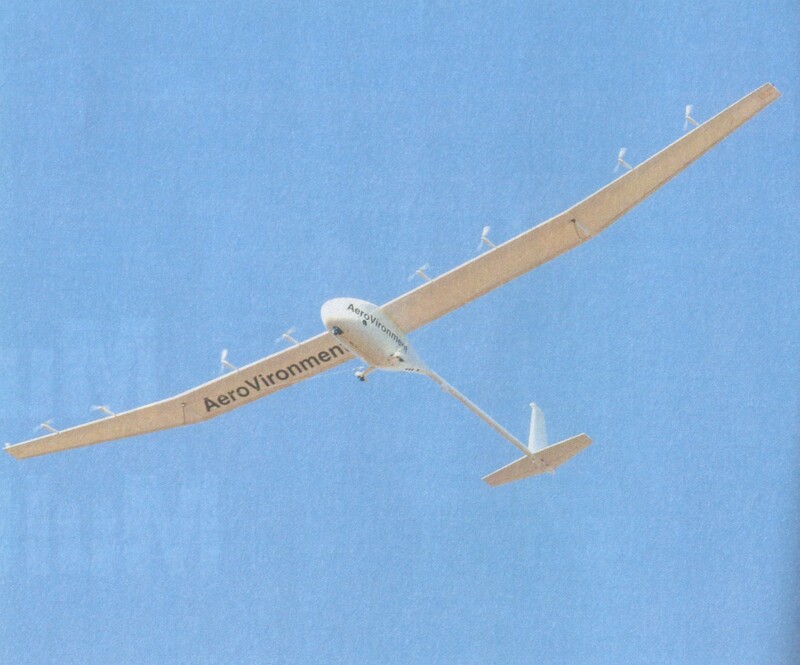 Another company named AeroVironment (AV) have also built a HALE with a 15m wingspan named the Global Observer that was first tested in 2005. The Global Observer is powered by electric motors running off a single power plant, probably a fuel cell. Two models have been proposed by AV, the GO-1 with a payload of 135-180kg and the larger GO-2 with a 450kg payload. Although Boeing appeared to lose out when the Condor was cancelled, it appears that the money used in the Condor has not been wasted and the information obtained during the test programme can be used to inform this new programme. Which design might eventually make it into production is the next issue, but my money would be on Boeing. 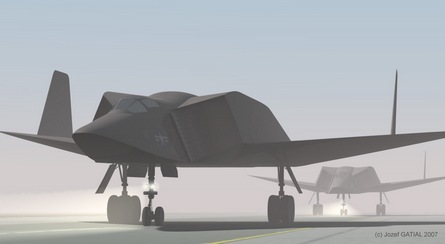 If the Boeing design eventually goes into production I hope it will be called the Condor II and make an appearance in public, but I suspect it will disappear into a ‘black’ programme and remain hidden for many years to come. Conceived in 1957 as a follow-on programme to the X-15, the theory behind the Boeing X-20A Dyna Soar in fact had its origins much earlier. In Germany in the 1930’s Dr Eugene Sanger had begun work developing a ‘regenerativley cooled’ liquid fuelled rocket engine which eventually produced an exhaust velocity of 10000 feet per second (fps), considerably better than the rocket engine which powered the V2 that only produced an exhaust velocity of 6560fps. After the start of WW2 Sanger proposed that his powerful rocket engine propel a development of his Silverbird manned, winged vehicle which he hoped could eventually reach orbit. The new vehicle would be called the ‘Amerika Bomber’ and would take-off by being propelled down a 1.9 mile long monorail track by a rocket powered sled that could deliver 600 tons of thrust for 11 secs and propel the vehicle to Mach 1.5. After take-off the ‘Amerika Bomber’ would fire its main engine for 8 mins burning 90 tons of fuel before reaching a speed of 13,700 mph and a altitude of 90 miles. Then, after descending under the pull of gravity, the aircraft would ‘skip’ back up to a higher orbit and it was hoped a series of these skips would allow the vehicle to cover over 14,000 miles – giving it sufficient range to bomb New York. However, Germany’s defeat put paid to any chance of this very advanced concept ever entering service. Whether the ‘Amerika Bomber’ would have worked will never be known, but I suspect that the concept was way too far ahead of available technology to have had much chance of success, particularly in terms of avionics. Indeed, post-war analysis of the Silverbird design uncovered a mistake in the calculation of the effect of aerodynamic heating during re-entry - in fact had the Silverbird design ever made it into orbit it would almost certainly had burned up during re-entry. Furthermore, Germany would certainly have needed to develop an atomic bomb to make the attack worthwhile and, even if he survived the very high ‘G’ forces on take-off and the re-entry, the pilot would certainly be on a one-way mission, so the ‘Amerika Bomber’ was in reality a highly-advanced kamikaze vehicle. Nevertheless, when WW2 ended, both the Russians and the Americans studied Sanger’s research with great interest. After the end of WW2 the Commanding General of the Army Air Force (AAF), ‘Hap’ Arnold created the Research and Development (RAND) corporation and the Scientific Advisory Board (SAB) to ensure that the AAF would still benefit from the very best scientific research US scientists could provide. The SAB, headed by Dr Theodore von Karman, also suggested that the new USAF create their own Air Research and Development Centre (ARDC) and these organisations eventually led to the new USAF embracing the concept of ballistic missiles. 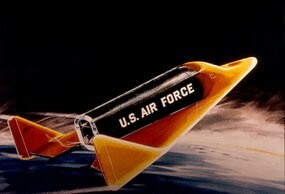 As well as realising that using these new ballistic missiles to orbit satellites would create an excellent communications relay, the USAF considered other possibilities, particularly the Sanger concept of a boost-glide vehicle that could act as both as an intercontinental bomber and reconnaissance vehicle. After various feasibility studies, such as Hywards, Brass Bell and Rocket Bomber (ROBO), on 10 Oct 57 the boost-glide concept resulted in a formal proposal for the X-20 Dyna-Soar program – Dyna-Soar was a contraction of the terms Dynamic Ascent and Soaring Flight. Nine companies responded to this proposal: Boeing-Vought, Convair, Douglas, Lockheed, McDonnell, North American, Northrop, Martin Bell and Republic. After thorough evaluation of various proposals, it was announced on 16 Jun 58 that Martin Bell and Boeing were finalists in the X-20 Dyna-Soar program and each company were awarded $9 million for additional studies and development work. In Jun 59, despite Bell having completed six years worth of research into the project, it was announced that the contract for the spaceplane was actually being awarded to Boeing, a decision that must have been very hard Bell, particularly as the final Boeing design bore a very close resemblance to the Bell design. 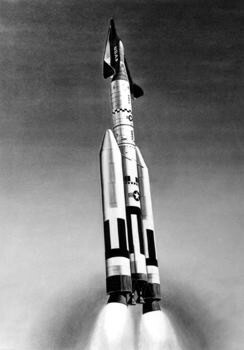 The X-20 Dyna-Soar program was planned in three stages: Dyna-Soar I would be a research vehicle that would undergo 20 air-launched test flights from a modified B-52 starting in Jun 63, followed by five unmanned sub-orbital test flights, boosted by a Titan I rocket, starting in Nov 63. The final part of the first stage would involve 11 manned flights from Cape Canaveral, landing at a variety of different locations, including Brazil. Dyna-Soar II missions would be used to gather data on operations in orbit and eventually result in a reconnaissance vehicle which would also have the ability to inspect satellites. 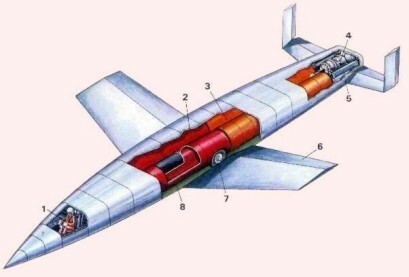 Dyna-Soar III would be the operational system and as well as reconnaissance duties, it would be able to act as an intercontinental nuclear bomber. 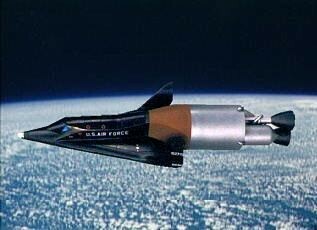 All the X-20 Dyna-Soar vehicles would be launched on top of various versions of the Titan rocket booster and would enter low earth orbit achieving a speed of 17,500 mph at around 530,000ft. 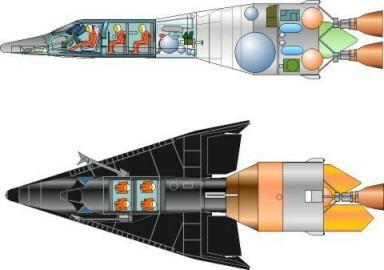 The X-20 Dyna-Soar would initially be crewed by a single pilot, but behind the cockpit was a payload bay that could carry a 450kg payload or additional crew members. 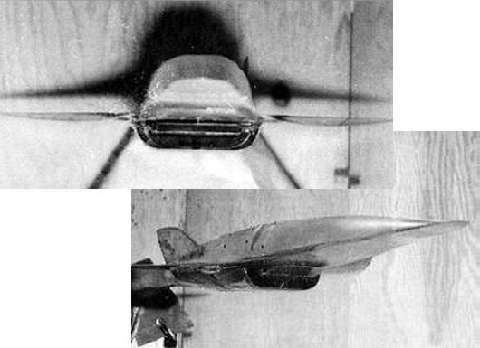 The first glide tests of the Dyna-Soar I were planned for 1963, with powered flights commencing the next year. It was hoped that the complete X-20 Dyna-Soar III system would be operational by 1974. However, as development of the Dyna-Soar continued, so did a secret US programme for unmanned reconnaissance satellites. In addition, both the Eisenhower and Kennedy administrations wanted to avoid initiating a space weapons race with Russia and the offensive capability of the Dyna-Soar would send the wrong message and almost certainly result in the Russians orbiting an offensive weapons system in retaliation. In the end the programme was a casualty of the administrations diplomatic negotiations which were incompatible with the military objectives of the Dyna-Soar. Eventually on 10 Dec 63, the Secretary of State for Defence, Robert S McNamara, announced the Dyna-Soar programme would be cancelled. However, the concept of lifting bodies ‘skipping’ of the earths atmosphere continued and today the US is developing the ‘HyperSoar’ which will use exactly this technique. 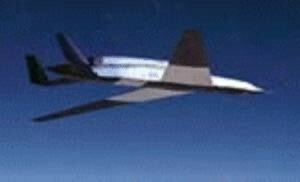 Using a scramjet engine, the HyperSoar is planned to achieve Mach 10 and climb to 130,000ft where the engine would be switched off, then the HyperSoar would slowly descend back into the atmosphere where the engine would be re-ignited for a further ‘skip’. Even today this concept is at the very limit of current technology and it will be many years before a full scale HyperSoar ever enters operational service, if it ever does. It says something about the about the advanced thinking and engineering ability of Dr Eugene Sanger that he could envisage a system in the 1930’s which, despite all the huge advances in aviation and space technology that have taken place over the last 75 years, still remains many years from actual fruition. Even as the U-2 entered operational service in 1955 the CIA were already drawing up plans for its eventual replacement and this eventually resulted in the delivery of the Lockheed A-12 Blackbird and later the larger Lockheed SR-71. 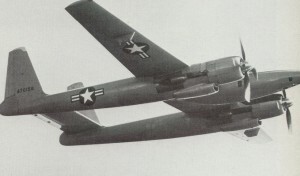 However, Lockheed were not the only company the CIA approached to investigate the U-2 replacement and the other company Convair came up with a proposal that was unusual and innovative for its time and, because it never entered operational service, it remains relatively little known to this day – the Convair Fish and Superfish. 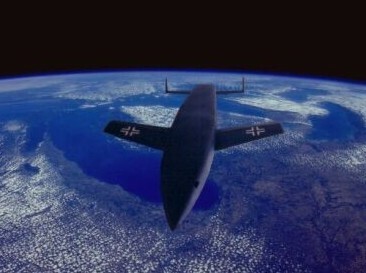 When the U-2 was first proposed to the US government, Lockheed engineers predicted that the aircraft would be able to fly sufficiently high to remain above Soviet radar cover, allowing the aircraft to conduct overflights of the USSR and surrounding Warsaw Pact countries without their military and political authorities being aware of what was taking place. However, when the U-2 actually entered service with the CIA and began over-flying countries in Eastern Europe and the USSR, the CIA discovered to their alarm that the U-2s were consistently tracked by Warsaw Pact radars throughout the majority of their sorties. The Soviets made discrete written diplomatic protests about these over-flights, but were reluctant to complain publicly because they didn’t want the rest of the world to know that they lacked the military capability to do anything other than complain in writing. With this in mind, for the planned U-2 replacement, Lockheed and Convair were asked to develop proposals that would have the lowest possible Radar Cross Section (RCS) as well as being able to fly at extreme altitude and high supersonic speeds. Rather than opt for a conventional aircraft powered by turbojet engines, Convair decided that a ramjet engine offered the best solution to sustained high-speed flight, however, the problem with ramjets is that they need an airflow through their combustion chamber of around Mach 2 before they can be started, making it impossible for their design to make a conventional take-off. To overcome this limitation, Convair decided to propose the use of a larger, faster version of their B-58A Hustler bomber, known as the B-58B Super Hustler, as the launch platform for a combination of manned and unmanned vehicles, known as ‘parasites’. The manned ‘parasite’ consisted of a 46.58 ft long winged vehicle, with a wingspan of 18.75ft, carrying a two-man crew, powered by a single Marquardt RJ-59 ramjet delivering 10,00lbs of thrust at Mach 3 and 5,000lbs of thrust and Mach 4. A small turbojet was also installed to provide power during the landing phase when the vehicle would be going too slow for the ramjet to function. The unmanned ‘parasite’ was 48.75ft long with a wingspan of 23.33ft, weighted around 25,300lbs and was powered by two Marquardt RJ-59 engines. Both ‘parasites’ were constructed mainly of stainless steel, a ceramic material known as Pyro-Ceram and titanium to enable them to survive the intense heat generated by Mach 4 flight. 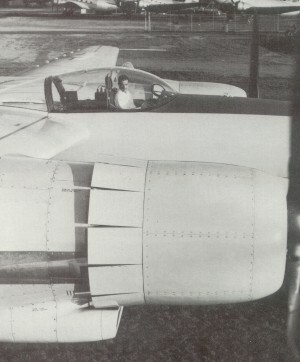 The cockpit windows were also protected with heat shields and the crew were provided with outside visibility by television cameras. Convair’s plan called for the ‘parasites’ to be ‘mated’ to the lower fuselage of the Super Hustler, with the manned component in the front and attached by its tail to the unmanned component at the rear. Then, with both ‘parasites’ in place, the Super Hustler would take-off from a conventional runway and climb to maximum altitude and Mach 2, before starting the three ‘parasites’ ramjets before launching them both around 2,300 miles from the target area. After launch, with the ‘parasites’ engines producing full power, the combination would climb to an altitude of around 75,000ft and eventually settle into a cruise at Mach 4, whilst slowly climbing to 90,000ft as fuel was burnt off. As the target was approached, the unmanned ‘parasite’ would be released to deliver a nuclear weapon to a separate high priority, heavily defended target. 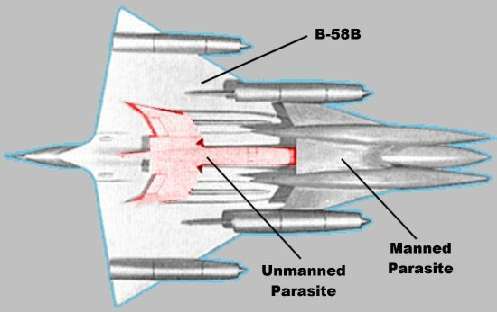 In a pure reconnaissance role, the unmanned ‘parasite’ would be used to carry additional fuel for the manned ‘parasite’ and then jettisoned when the fuel ran out. 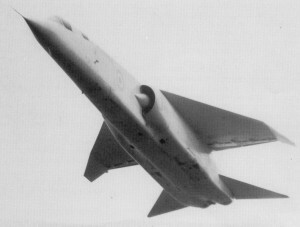 After the target was overflown, the manned ‘parasite’ would exit the area at Mach 4 before engaging its turbojet engine and landing conventionally on a runway using a wheeled nose gear and fuselage skid – visibility on final approach was improved by a nose that was hinged and could be moved down. Despite some individuals in the USAF expressing an interest in the Super Hustler, the reality was that the cost of operating and maintaining the unreliable, complex, high-speed B-58 was beginning to raise many questions. Many other individuals in SAC, not least the C-in-C Curtis LeMay, began to question whether these aircraft were worth the trouble particularly when the reliable, long-range Boeing B-52 began to enter service and could be operated in greater numbers and at a much lower cost. More importantly, the idea of a parasite bomber gathered little support and the concept never received official government funding. However, the CIA were still interested in a supersonic reconnaissance aircraft and encouraged Convair to continue to develop their ‘parasite’ proposal. However, this time Convair’s Bob Widmer and Vincent Dolson came up with a slightly different concept. 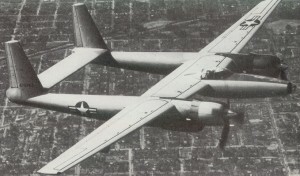 This time, rather than a twin manned and unmanned concept, they decided that the ‘parasite’ aircraft carried by the B-58B Super Hustler would be a single manned aircraft that they named the Fish. The Fish was once again powered by two Marquardt RJ-59 ramjet engines that would give the aircraft a top speed of Mach 4.2 at 90,000ft, a range of 3,900 nms, and was also fitted with two turbojets that would enable the aircraft to make a powered landing. The design employed a lifting body fuselage shape and again the leading edges and engine intakes were constructed of pyro-ceram, helping to reduce the RCS. However, although the new Convair proposal was an improvement on the original twin ‘parasite’ proposal, it still made two risky assumptions; namely that the Marquardt RJ-59 ramjets would produce sufficient power to achieve the planned top speed and that the B-58B Super Hustler would be able to carry the fairly heavy Fish up to the launch speed of Mach 2.2 to start the ramjets and a number of Convair staff believed this was unlikely to be achieved. However, what eventually brought this concept to an end in 1959 was the USAF decision not to proceed with the B-58B. Although Convair investigated the possibility of converting the smaller, lighter B-58A to launch the Fish, it was quickly realised that this was impossible. Many others also believed that the concept of launching the Fish would also have been too costly in logistical support. Convair got the message about the mothership and ramjet engines concept, went back to the drawing board and came up with a completely new design for a more conventional aircraft powered by the P&W J-58 turoramjet engine that would also power the Lockheed proposal – the A-12. The new Convair design was a delta wing aircraft named the Kingfish, carried a two man crew in tandem seats equipped with escape capsules and was powered by two J-58s engines carried internally. The cruise speed of the Kingfish was planned to be less than the Fish at Mach 3.2, but was similar to the Lockheed A-12 , however the range was greater at 3,400nms. In theory the great advantage the Kingfish had over the A-12 was its reduced RCS, thanks to its fairly smaller size, internal engines and the use of pyro-ceram along the leading edges and engine inlets, although Kelly Johnson of Lockheed disputed these claims. 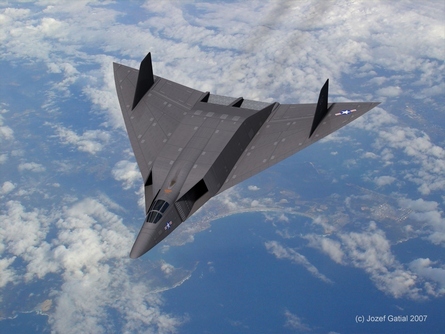 In Aug 1959 Lockheed and Convair submitted their two proposals, the A-12 and Kingfish, to a review panel that consisted of representatives of the Dept of Defence, USAF and the CIA. Although the Kingfish was favoured by some because of its lower RCS, the Lockheed proposal finally won the day, having greater range, a higher max cruise altitude and was cheaper to build. However, what probably won the day for the Lockheed A-12 was that Lockheed had already delivered the U-2, a highly unusual and advanced design, in secrecy, on time and on budget and then the U-2 had then gone on to deliver the required performance in operational service – in comparison Convair had no similar background. Of course one question will always remain unanswered, if the Kingfish had been selected rather than the A-12, would it have performed as well as the A-12 and of course without the A-12 there would have been no SR-71. 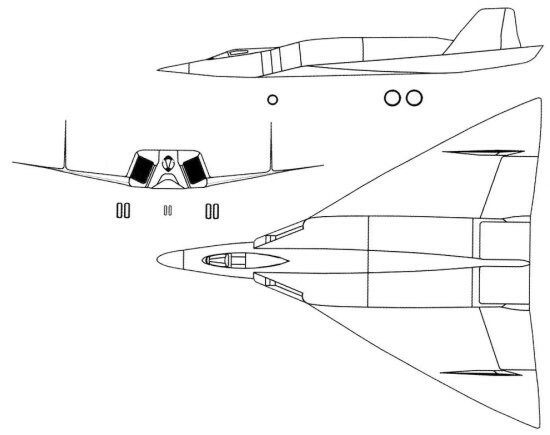 In the event Lockheed encountered numerous difficulties in developing the A-12, so it’s reasonable to assume that Convair’s engineers could also have found similar solutions for the Kingfish. The P&W J-58 engines and the complex inlet control system were the real key to the A-12’s ability to cruise at Mach 3+, whether the more conventional intakes on the Kingfish would have delivered the same level of performance remains debateable. Nevertheless, what is beyond dispute is that the Kingfish looked superb for an aircraft designed in the late 1950s and, if the twin tails were canted inboard to reduce the RCS, it could easily pass for an early F-117 Stealth Fighter. It is a great pity that the Kingfish was never built and flown, but nevertheless this design stands the test of time and is a suitable tribute to the skill and foresight of the Convair designers. The Lightning was the last great British single-seat fighter, bar none, because there won't be any! 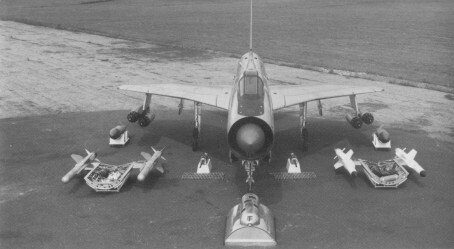 The English Electric Company/BAC was keen to export the Lightning, but despite considerable interest from many countries, including Austria, Japan, Germany, Singapore, Nicaragua and Brazil, however, the company salesmen had little success when competing against the very generous 'arrangements', which usually accompanied orders placed with other aviation companies from the USA and France. However, The Royal Saudi Air Force eventually decided to replace their aging F-86 Sabres and B-26 Invaders with the Lightning F53, an export version of the F6, under Operations magic Palm and Magic Carpet, part of an overall export deal worth £1.5 billion. Eventually 34 aircraft equipped the RSAF and another 12 aircraft were operated by the Kuwait Air Force. Although never carried operationally by RAF Lightnings, the F53 was offered for sale with a reconnaissance capability. The reconnaissance system replaced the missile package and extended rearwards to include the forward part of the ventral fuel tank. Contained in the rotatable section of the pod were 5 Type 360 70mm Vinten cameras which were directed left, right, fore, aft and centre providing complete coverage. To eliminate humidity problems a self-contained de-mister was provided, together with a range of lenses to provide coverage at heights ranging from 200ft to 30,000ft. Film magazines held 500ft of film each enabling coverage of a strip of land 87nm long at 200ft and 195nm at 30,000ft. The option of purchasing the reconnaissance system was only taken up by the Saudi Air Force, but four sets were purchased and four F53s hard wired to operate them - however in the end they saw only limited operational use. The actual suitability of an aircraft like the Lightning for reconnaissance duties is somewhat debateable. 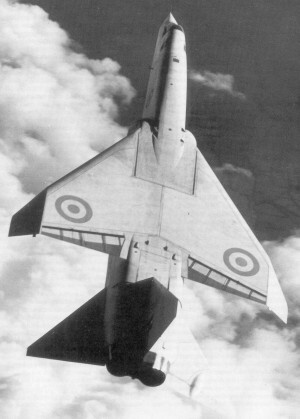 Whatever the outstanding characteristics of the Lightning in terms of general performance and handling, the weaknesses of poor range/endurance and maintenance difficulties, would have severely limited the use of the aircraft in RAF operations, particularly when a Canberaa PR9 can go as high as a Lightning and much, much further. Unfortunately, how the 'League of Little Men' would have taken to sedately photographing targets on the ground, rather than the free-for-all dogfighting at which they so excelled, will remain unanswered!! The troubled EuroMALE UAV, currently being given the last rights by EADS, should serve as an example to future collaborative European UAV projects of how quickly things can go wrong, how rapidly technology changes and why narrow national interests, particularly if the French are involved, will nearly always prevail over wider European co-operation. The rapid emergence of UAVs as an essential part of integrated military operations effectively caught the European Aerospace industry unawares and ill-prepared to produce designs capable of competing with Israeli and in particular American designs. In June 2004, in an attempt to rapidly catch up, the French Defence Minister Michele Alliot-Marie launched the EuroMALE demonstrator programme, which intended to combine the differing capabilities of French industry rivals such as Dassault Aviation, EADS-France, Sagem and Thales. The programme was open to other countries and the Netherlands, Italy, Spain, Sweden, Finland, Greece, Portugal, Turkey and Switzerland all expressed interest, but unsurprisingly the specification was tailored to meet a French Air Force requirement for a MALE UAV that could provide strategic and theatre reconnaissance, intelligence collection and communications support. This required a large UAV in the Predator B class with an 85 foot wingspan and able to fly at 44,000 ft with a 24 hour endurance carrying a 1,100 lbs internal payload and capable of also carrying an additional 1,980 lb payload externally on underwing pylons.. The vehicle was named Eagle 2 and was effectively a scaled-up version of the IAI Heron. Unsurprisingly the EuroMALE UAV proposal moved forward at a snails pace and, although they had initially expressed an interest in participating in the programme, many European countries quietly began to develop UAVs of their own, tailored to their requirements, rather than to those of France. In addition, these countries also became concerned about the amount of Israeli technology involved and believed their own aerospace industries would gain more benefit by developing the technology themselves, particularly the necessary mission software and began to actively promote their own solutions. Meanwhile, France had already decided to purchase an interim MALE UAV from EADS, the Eagle 1, a derivative of the IAI Heron UAV fitted with avionics, sensors and communications provided by EADS. Gradually the planned demonstration date of the EuroMALE started to slip and the projected costs increased, confirming in many countries the idea of going for a smaller vehicle, around the size of the Predator A. Some countries even began negotiating with the USA on a possible purchase of the Predator A UAV. By the 2006 Farnborough International Air Show it was obvious that the EuroMALE was effectively dead and France’s plan to lead various other countries in this programme had been scuppered. It’s unlikely that any new European MALE UAV programme will emerge for some time. Instead it’s likely that a whole raft of different proposals will emerge for collaborative programmes but, whatever the eventual outcome, it’s unlikely that France will be able to impose their national proposals on other nations. Meanwhile, despite all the problems with the Euromale, NATO's premier aerospace think tank, the Joint Air Power Competency Centre (JAPCC) have recently stated that they believe that NATO has a requirement for 50 High Altitude Long Endurance (HALE) UAVs and 20 Medium Altitude Long Endurance (MALE) UAVs. The JAPCC believes that these UAVs will need to be acquired by the end of 2009 by a collaborative acquisition, but given the history of the Euromale, I imagine almost every NATO member state is already planning how to tailor their own UAV to meet this requirement, rather than investigating possible collaboration with another country, particularly France. The Hughes XF-11 was built to meet the same exacting specification as the Republic XR-12 Rainbow. When the USA entered the war, the USAAF lacked a purpose built reconnaissance aircraft and relied on modified fighter aircraft, such as the F-5B a reconnaissance version of the P-38 Lightning and even operated the F-8 Mosquito, licensed built by de Havilland of Canada. In 1943, following recommendations by Colonel Elliot Roosevelt, the photographic section of the Air Technical Service drew up an exacting specification for a purpose-built reconnaissance aircraft. The requirement called for an aircraft tailored specifically for photographic reconnaissance, capable of very long range and high speed. Howard Hughes had been fascinated with developing long-range aircraft for some time and decided that his company would respond to this requirement. 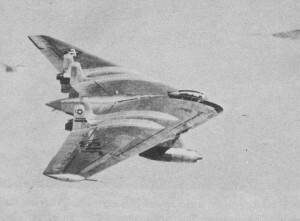 Hughes had previously funded in great secrecy the Hughes D-2 high-speed long range bomber, constructed from Duramond - a plastic impregnated wood. The Hughes D-2 was first flown on 20 June 43, but performance was disappointing and the project was going no where fast - then Hughes learnt of the new requirement and decided that a modified version of the D-2 could meet the requirement. 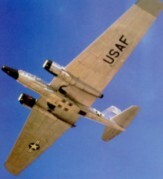 The XF-11 had a wing span of 101ft 5in and a length of 65ft 5in and the central pod was pressurized to ensure crew comfort at high altitudes. 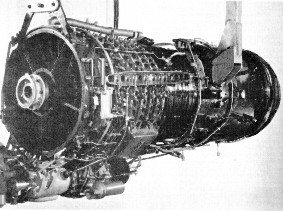 Power was provided by two P&W R-4360-31 engines with contra-rotating propellers. The XF-11 was planned to have a ceiling over 40,000ft with a speed of over 400mph, well in excess of recce aircraft then in service. The nose area carried an impressive array of cameras which looked out through a variety of ports - a further four cameras were carried in the rear of the left boom. A crew of two was carried, a pilot and a second pilot who also acted as the navigator and camera operator. Hughes demanded absolute perfection in every detail of the prototype XF-11. Rivets were all flush, joints were smoothed and sanded to ensure that the airframe was an aerodynamic as possible. As a finish, the airframe was painted Light Grey and then given a very shiny nylon-based top coat, which was heavily waxed and polished once it had dried. However, on 7 Jul 46, whilst on an early test flight, the right engine failed sending the propeller into reverse, and causing the XF-11 to descend in a rapid spiral. The aircraft crashed into an area of Beverly Hills and exploded. Amazingly, Hughes managed to drag himself from the wreckage, when by all logic he should have died instantly. Hughes managed to stage a remarkable quick recovery and even flew the second prototype from his private airport at Culver City of 5 Apr 47. However, by now WW2 was over and savings had to be made and despite the Cold War looming large on the horizon, both the XF-11 and the XR-12 were cancelled. The lack of a purpose built reconnaissance aircraft capable of operating safely over the Eastern Block was to cost the USAF dear in the late 1940's and early 1950's. 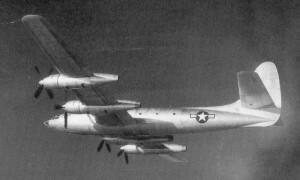 There is little doubt that the XF-11 could easily have been developed into a highly capable reconnaissance aircraft if the will had existed. Whether it would have been a better or more capable aircraft than the XR-12 is debateable. However, it would certainly have been a vast improvement on the various versions of the B-29 Superfortress that were pressed into service as reconnaissance aircraft because, thanks to the cancellations, nothing else was readily available. In the early 1990s, the USAF decided to integrate various Intelligence, Surveillance and Reconnaissance (ISR) systems to ensure that all US Forces would be provided with the appropriate information necessary to successfully conduct military operations. As part of this integration, the Defence Airborne Reconnaissance Office (DARO) issued a requirement for long endurance UAVs with reconnaissance, surveillance and target acquisition capabilities. 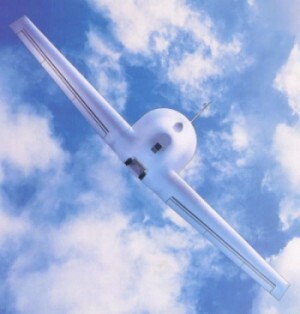 This in turn led to the Defence Advanced Research Projects Agency (DARPA) overseeing development of a pair of complementary High Altitude Endurance (HAE) UAVs, under their policy of producing Advanced Concept Technology Demonstration (ACTD) versions of each design and then ensuring they perform as advertised. 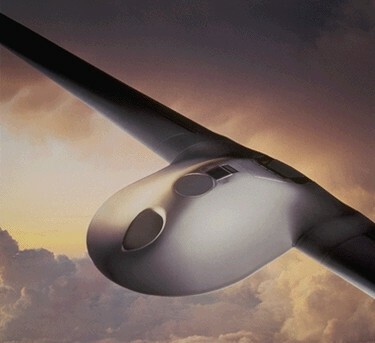 The two designs were the RQ-3A Darkstar, developed by Lockheed Martin & Boeing and the RQ-4A Global Hawk developed by Northrop Grumman – two different designs to meet specific mission criteria. Northrop Grumman’s relatively conventional UAV design enabled the Global Hawk to provide long range & endurance and carry a multi-sensor payload in a low –to-moderate threat environment. However, Lockheed Martin developed a low-observable design, incorporating a considerable amount of stealth technology, enabling the UAV to operate in highly defended areas. The Lockheed Martin Skunk Works were responsible for building the fuselage and integrating the ReconOptical Electro-Optical (EO) sensor and various other sub-systems. Boeing were responsible for building the wings and avionics, as well as integrating the Westinghouse Synthetic Aperture Radar (SAR), a legacy from the US Navy’s cancelled A-12 programme, as well as the vehicle management system. The DarkStar was designed to carry either the interchangeable SAR or EO sensor at altitudes above 45,000ft and 250kts, operating up to 500nms from its base for around 8 hrs and was powered by a single Williams-Rolls FJ44-1A turbofan engine – the same engine used in the Cessna Citation business jet. The digital SAR and EO systems enabled images to be transmitted in near real-time to a ground station or satellite. Designed to be fully autonomous and follow a programmed sortie, DarkStar could take off, fly to its assigned target area, transmit its sensor imagery, return to base and land without any human intervention. Nevertheless, if DarkStar was within line-of-sight of its ground station, it could be re-programmed in flight to alter course and direct its sensors at another target; beyond line-of-sight the ground station could remain in touch via a satellite link. DarkStar first flew from Edwards AFB on 29 Mar 96, but then on its second flight on 22 Apr 96, due to a software fault in the flight control system, the vehicle developed uncontrollable oscillations after take-off, stalled nose high and crashed.. A second DarkStar first flew on 29 Jun 98 and during testing on 11 Jan 99 reached an altitude of 25,000ft on a 2hr 37 min sortie. The third and fourth DarkStar vehicles were completed when, because of budget cutbacks, the DoD cancelled the DarkStar programme in late Jan 99. The thinking behind the decision has never been explained, however, it was probably becoming apparent that the Global Hawk could meet every requirement for both programmes, apart from the need for stealth. Also, as Global Hawk would probably only ever operate within airspace in which the USAF had already gained air superiority, the requirement for low-observable technology was minimal. 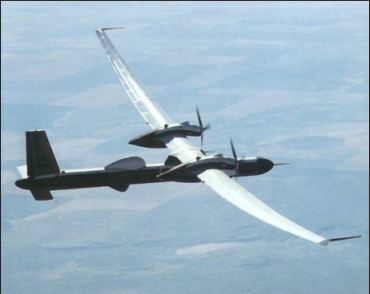 To date, the DarkStar is probably the stealthiest UAV to have publicly flown, given the profile of the vehicle, the radar cross-section would have been extremely small and would have enabled the DarkStar to operate with virtual impunity in the most hostile airspace, whilst sending back crystal-clear images to its ground station. However, DARPA realised the value of such a UAV and have developed and flown other stealthy UAVs as well as instigating a concept programme to develop a revolutionary UAV named SensorCraft. The only surviving DarkStar to have flown is now preserved in the USAF Museum. However, the original project definition in 1993, that eventually led to the Darkstar, called for a much larger, ultralong range. stealthy UAV, similar in size to the Northrop B-2 bomber. Lockheed Martin's design was named the Quartz, but this was offically cancelled when the Cold War ended, despite over $1 billion having been spent on this programme. Nevertheless, although the stealthy Darkstar UAV was officially cancelled back in Feb 99, there have been persistent reports that, as part of a ‘black’ programme, a larger derivative of this UAV was developed by Lockheed Martin and has been used in operations over Iraq. These rumours have been given added strength by the apparent inability of current UAVs to meet a long-standing USAF requirement for a very low observable, high-altitude UAV that can fly 1,000nm to a target area, penetrate a modern air defence system, loiter for at least 8hr and then return to base. Although the first Darkstar crashed during a test flight on 22 Apr 96, the second Darkstar was modified and later flew successfully. Undoubtedly, some problems had been encountered during the development programme with the flight control system, the command & control system and the stealthy apertures, but these could almost have been expected during the development cycle of such an advanced UAV and were effectively cured. So if these problems had been overcome it seems odd for the programme to be have been cancelled, when the requirement remained extant and these doubts have fed persistent rumours of a follow-on black programme. Little if anything has been said by Lockheed Martin about the new ‘Super Darkstar’ or Quartz or whatever name it has been given, other than the tacit admission recently by some well placed individuals from Lockheed Martin that the vehicle exists and has been used successfully in operations. They also confirmed that, whilst it cannot carry the same payload as a U-2S, it nevertheless is capable of carrying an LPI synthetic aperture radar as well as infra-red and electro-optical sensors. A number of U-2S pilots reported seeing an unknown high-flying vehicle, operating at or above the height of their own aircraft, whilst flying over Iraq. Lockheed Martin will probably attempt to keep this new UAV out of the limelight for as long as possible. Presumably the USAF have been willing to pay considerably more for this vehicle, compared to the non-stealthy Northrop Grumman Global Hawk, because of its capability to penetrate highly defended airspace undetected and the quality of intelligence it provided. The greatest exponent of the flying wing was John K Northrop who, along with 3 other men, helped found the Lockheed Company. After founding his own company, Northrop continued to experiment with flying wings and successfully flew the N-1M ‘Jeep’ in 1940. The Army Air Force Chief, General ‘Hap’ Arnold encouraged Northrop to investigate whether the flying wing principle could be applied to heavy bomber aircraft. The XB-35 was the first flying wing bomber developed by Northrop and had a wing span of 172 feet. Two XB-35 prototypes were ordered by the Army Air Force in 1941and the aircraft first flew in Jun 1946. The XB-35 was a spectacular aircraft powered by 4 P&W Wasp Major engines each with double turbo superchargers driving eight coaxial counter-rotating four bladed pusher propellers. For self defence it was planned to equip the aircraft with 7 remote-control gun turrets firing a total of twenty 50 caliber machine guns. However, only the first two aircraft were propeller driven - the advent of the jet engine allowed the Army Air Force to instruct Northrop to install 8 Allison J-35-A-5 in the second and third aircraft and these were designated YB-49s and the aircraft first flew in Oct 1947. The YB-49 had a top speed of 520 mph a ceiling of 42,000ft and a range of 4450 miles. As a bomber it was capable of carrying a 10,000lb bomb load 4000 miles. However, this was less than half the range of the B-36 and what the Air Force was really looking for was a very long-range bomber. Although the YB-49 was over 100mph quicker than the XB-35, the early inefficient jet engines limited the effective range. Nevertheless, after 20 months testing, it was decided that a reconnaissance role best suited the aircraft and a contract for 30 RB-49s was placed and it was decided to convert 10 B-35 aircraft to YRB-49 reconnaissance aircraft. Unfortunately, on 5 Jun 1948 the second YB-49 prototype piloted by Capt Glen Edwards crashed whilst descending after conducting CG stability tests at 40,000ft. Although the exact cause of the accident was never determined, it is believed that the aircraft exceeded the maximum permitted airspeed and broke up as a result. Muroc Air Base was later re-named Edwards Air Force base in honour of Capt Edwards. Sadly this crash lead to doubts about the whole flying wing programme. 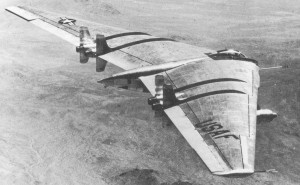 The first YB-49 was later destroyed in a high-speed taxiing accident at Edwards leaving the YRB-49A as the only flying wing still in operation. The YRB-49A was a modified XB-35 converted to be a strategic reconnaissance aircraft with a top speed of around 550mph at 40,000ft and a range of 3500 miles. It was powered by 4 Allison J-35-A-19 engines buried in the wing . Two more J-35 engines were suspended in pods below the wing to allow room for more fuel in the wings, in addition, the engine pylons were designed to act as vertical stabilisers. To further help overcome stability problems, four vertical stabilisers were fitted to the trailing edge of the wing. Photographic equipment was installed in the tail cone bay to the rear of the centre section. The aircraft first flew on 4 May 1950, but encountered stability problems and plans were made to install a Honeywell stability device similar to that used by the Boeing B-47 Stratojet. However, when the aircraft was flown to the Northrop facility at Ontario International Airport in 1952 funding for the aircraft was suddenly dropped and after remaining in storage eventually in Oct 1953 the Air Force ordered that the YRB-49A be scrapped. The YRB-49A was well ahead of its time and certainly had stability problems. However, these could have been resolved if sufficient funding had been made available. The Air Force wanted the faster Boeing B-47 Stratojet and the long-range Convair B-36 Peacemaker and the budget just didn’t stretch to the YRB-49A as well. Another factor may well have been the appointment to the Truman administration of a Secretary of the Air Force, Stuart Symington. Allegedly, it was later intimated to John Northrop that the Air Force would buy a number of B-49s if he agreed to Convair taking over Northrop and the merged company then building the aircraft - Northrop declined the offer and soon after the flying wings were cancelled. That the YRB-49A would have made a very effective reconnaissance platform if its stability problems had been resolved is in little doubt. Furthermore, if the ‘stealthy’ characteristics of a flying wing had been identified, the aircraft might have been developed further by burying the pod-mounted engines in the wing. In this configuration, even with the small vertical stabilisers, the YRB-49A would have been very difficult to spot on radar and may well have lead to the development of a B-2 Spirit bomber many years earlier. The Republic XR-12 Rainbow is in many peoples opinion one of the most graceful aircraft of all time, as well as being probably the most streamlined piston-engined aircraft every built. The Rainbow was built to an exacting 1943 USAAF requirement for a purpose-built reconnaissance aircraft. The requirement specification was drawn up by the photographic Section of the Air Technical Service from recommendations made by Colonel Elliot Roosevelt and called for a very long range, high speed aircraft specifically tailored for photographic reconnaissance. Republic's chief designer, Alexander Kartveli, felt that to achieve the required altitude and speed, over 40,000ft and 400mph, four large pistion engines would be required and selected the Pratt & Whitney R-4360 Wasp Major radial of 3,500hp. The aircraft eventually proved capable of maintaining Mach.8 at 40,000ft. With a beautifully streamlined body and an elegant 129ft wing, the aircraft was designed from the outset to carry, not just any combination of cameras in three special camera compartments, but also a complete dark room for developing the photographs in flight. The first prototype flew on 4 Feb 46 and, although the aircraft was extensively tested, the end of the Second World War meant that the urgency was lost from the programme and the second aircraft did not fly until 12 Aug 47. Unfortunately the second aircraft was badly damaged when its number two engine exploded on a test flight. In addition, a 'Peace Dividend' was needed to appease the usual 'bean-counters' and despite the Cold War beginning to settle in, the short-sighted individuals in charge of the USAF could see no need for a specialised reconnaissance aircraft and the requirement was withdrawn. Flight testing of the Rainbows continued for some time to assess the aircraft's suitability as a high-speed transatlantic airliner for Pan-Am. However, after the USAF cancelled the military requirement for 20 aircraft, Republic could not afford to produce an affordable airliner and the these two superb aircraft were eventually broken up for scrap. As the Cold War built up and a variety of converted bombers were hastely pressed into reconnaissance duties, I can only surmise that many USAF Generals must have bitterly regretted the decision to scrap the Rainbow. Neither the RB-17 or the RB-29 used on early overflights of Russia possessed anything like the performance of the Rainbow and if the aircraft had been developed it could have roamed freely over vast tracts of Eastern Europe and Russia for many years with virtual impunity. The use by the USA of converted bomber aircraft with comparitively modest performance, to perform reconnaissance duties in the early cold war years ended up costing the lives of many brave men. In the mid 1960s the USA was very keen to obtain photographic intelligence of the Chinese mainland and their nuclear testing area at Lop Nor, situated on a dried up salt lake deep inside China near Xinjiang. Although satellite imagery was just becoming available, as this photo of Lop Nor taken not long after the first Chinese nuclear test on 20 Oct 64 shows, it was unreliable and lacked the image quality of a lower flying aircraft. However, by this time the Russians had already shot down Frank ‘Gary’ Powers in his U-2 and the US government prohibited further overflights of Russia or China by US manned aircraft. Overflights of China were already being undertaken by the Nationalist Chinese Air Force (CAF) in Taiwan operating a mix of RF-101 and RF-104 aircraft based at Taoyuan airfield thirty miles south of Taipei. In 1958 the US allowed the 408th CAF squadron, known as the Black Knights, to operate the RB-57D and in Feb 58 and Oct 58 two of these aircraft operated by CAF pilots were lost over the Chinese mainland. However, in 1959 the US had already decided to allow the CAF to operate the U-2 in a joint operation with the CIA and by 1961 the aircraft commenced a series of deep penetrations of Chinese airspace, losing a number of pilots as a result. The full story of CAF U-2 operations by the Black Cat squadron will be covered in more detail at a later date. Despite the effort of the CAF, the US was determined to develop a new system capable of obtaining the information it required. This led to the development of the Lockheed D-21 drone which overflew Lop Nor a number of times between 1969-71 before it was cancelled. Launched from a rocked after being air dropped from a B-52 H, the D-21 was the cutting edge of current technology and was capable of cruising at Mach 3 above 75,000ft and in the event proved just too unreliable. However, the US had probably already anticipated that the D-21 might just be a step too far and back in 1966 had begun the development of a more conventional, high flying, stealthy, unmanned aircraft – the Teledyne Ryan AQM-91A Compass Arrow. Development of the Teledyne Ryan AQM-91A Compass Arrow began back in 1966 and the design was based on their Model 154 Firefly drone - the new design was the first second generation UAV. 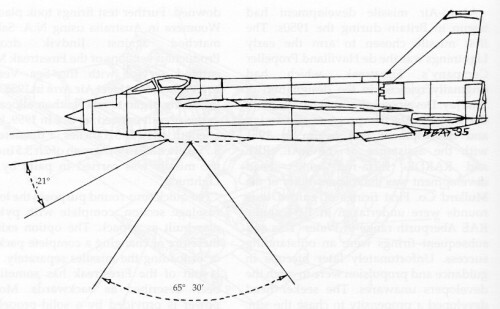 Although outwardly fairly conventional in appearance, the Compass Arrow design incorporated a number of new and advanced ‘stealth’ features. The radar cross section was reduced by canting the vertical tail surfaces in towards the fuselage and by designing the bottom surface of the aircraft to be flat. The engine was mounted on top of the fuselage to reduce the infra-red signature and the engine inlet, leading edges of the wings and some other areas of the vehicle were fitted with Radar Absorbent Material (RAM). Similar in size to a small aircraft, the Compass Arrow was 34ft long, had a wingspan of 48ft and weighted over 5,000lbs. Powered by one GE J-97-GE-100 turbojet, it was designed cruise sub sonically. The Teledyne Ryan AQM-91A Compass Arrow was designed to be air-launched from a specially equipped Lockheed DC-130E aircraft. After separation the Compass Arrow would climb to around 78,000ft and self navigate its way along a 2,000 mile course using a Doppler internal guidance system. 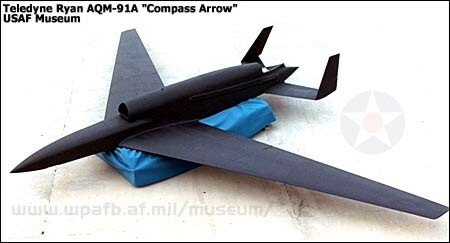 Equipped with an Itek KA-80A panoramic camera, over the course of a typical 4.5 hr mission, the Compass Arrow could photograph an area 1,720 miles long by 43 miles wide. The vehicle could also be equipped with IR sensors or ELINT equipment. After the mission was complete the vehicle would be guided into a recovery area by a microwave command system, deploy a parachute and be snatched in mid-air by a helicopter equipped with the Mid-Air Retrieval System (MARS. Although 28 Compass Arrows were produced by 1971, before they actually entered service relations with China improved and it was decided not to employ the aircraft on the risky overflights for fear of upsetting the new spirit of rapprochement. The Teledyne Ryan AQM-91A Compass Arrow was an expensive, but bold design and although it was never deployed on the operations it was initially designed for, the lessons learnt by Teledyne Ryan were useful in future designs. Nevertheless, the design showed that a conventional aircraft configuration would be unlikely to achieve the low RCS demanded of future designs. For this reason, the current crop of stealthy UAVs and UCAVs can all trace elements of their design back to the Teledyne Ryan AQM-91A Compass Arrow. The Compass Arrows were never used on operations and were placed in permanent storage in 1973 before being scrapped a few years later. But that is not quite the end of the story, because in 1998 a NASA paper reported that the twenty four General Electric J97-GE-100 engines, designed to allow the Compass Arrow to cruise at 80,000ft, were not scrapped as originally thought, but were actually placed in storage at their AMES research centre. It then appears that these engines may well be used to power a classified USAF Unmanned Aircraft System (UAS) programme, funded with money taken from the terminated J-UCAS programme, known as the Penetrating High Altitude Endurance (PHAE). The PHAE is believed to be a stealthy, twin-engined, UAV capable of cruising between 70,000 to 80,000ft and capable of carrying various weapons enabling it to conduct SEAD, as well as traditional ISR missions as necessary – so hopefully the money spent on developing the advanced technology for the Compass Arrow has finally been put to the use that was intended.